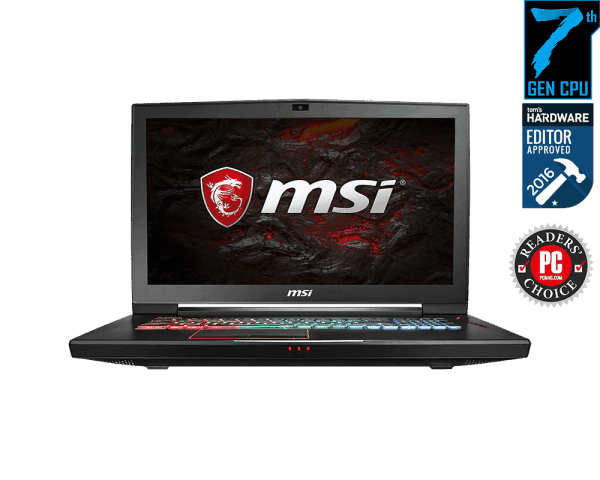 MSI GT73VR 7RF Titan Pro 4K is a high end gaming laptop that comes with graphics cards that are the most advanced ever created. 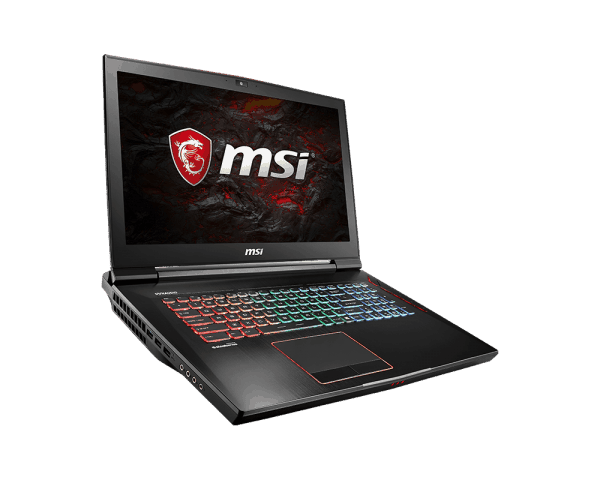 It supports 8GB GDDR5X Nvidia GeForce GTX 1080 GPU that is built with ultra-fast FinFET, the latest high-bandwidth memory technologies that gives you up to 3X the performance of previous-generation GPUs. It is powered by latest 7th generation Intel Core i7 7820HK processor clocked at 3.8 GHz and features a large 17.3 inch 4K IPS LCD LED backlit display with a screen resolution of 3840 x 2160 pixels. On the memory front, the laptop comes with 1TB (SATA) 7200rpm + Super Raid 4-512GB SSD (NVMe M.2 SSD by PCIe Gen3 x4) and upto 64 GB DDR4 RAM. This laptop is VR-optimised and provides an exceptionally smooth and powerful mobile platform for the ultimate immersive virtual reality experience. 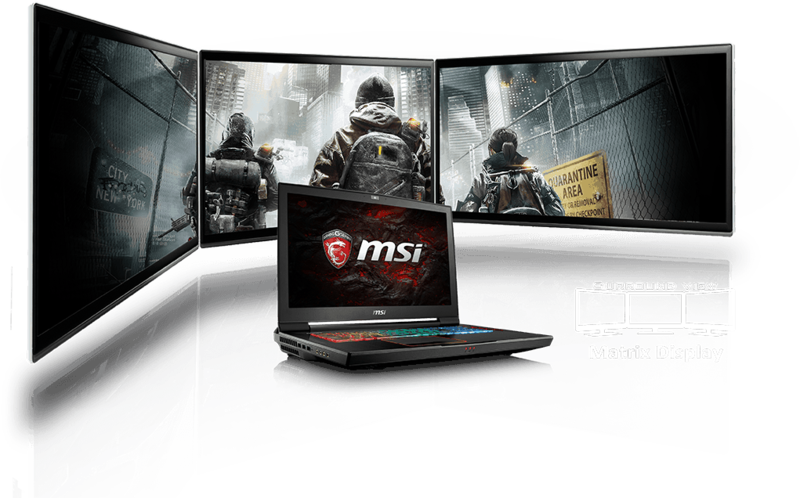 It supports the MSI Matrix Display technology with Surround View Mode that creates an ideal environment for extreme gaming experience. It provides for up to 3 external 4K displays, 4 displays in total simultaneously through one HDMI (4K @ 60Hz) compatible port, one Mini Display Port 1.2 and one Thunderbolt 3* (Type-C port) plus the laptop built-in display. 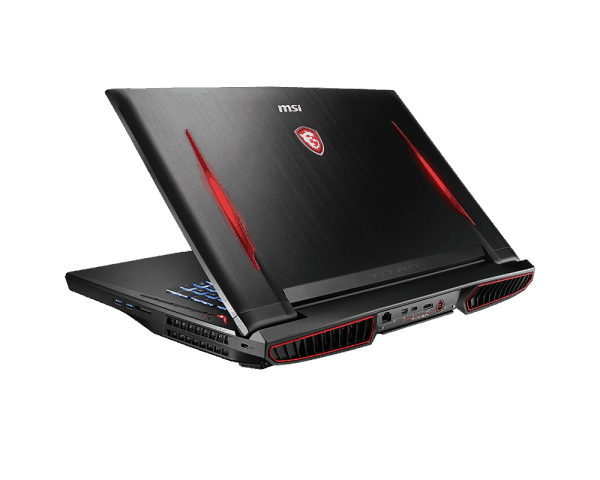 Other important features of MSI GT73VR 7RF Titan Pro 4K are an 8 cell Li ion battery, Built in Full HD Webcam with integrated microphone, Keyboard by Steelseries with full color backlighting and Exclusive Silver Lining Printed keys. For great audio and voice performance of the laptop, it supports Nahimic audio software that offers high definition sound technology and 2 x 3W speaker and 1 x 5W subwoofer Sound by Dynaudio system. The connectivity options available on the device are WiFi, Bluetooth, 5 x USB 3.0 ports, 1x Type-C (USB3.1 Gen2 / DP / Thunderbolt™3), I x Mini display port, 1 x HDMI port and an audio jack. The exclusive MSI “SHIFT” technology pushes the system to the extreme while minimizing noise and temperature. The “Cooler Boost Titan” feature consists of three enhanced fans, two Whirlwind Blade fans with 29 blades plus one 23 blades fan for GPU and CPU that make sure that the overclocked CPU keep its highest performance while maintaining the best SLI graphics output. The X Boost function from MSI technonogy supports faster storage access speed. 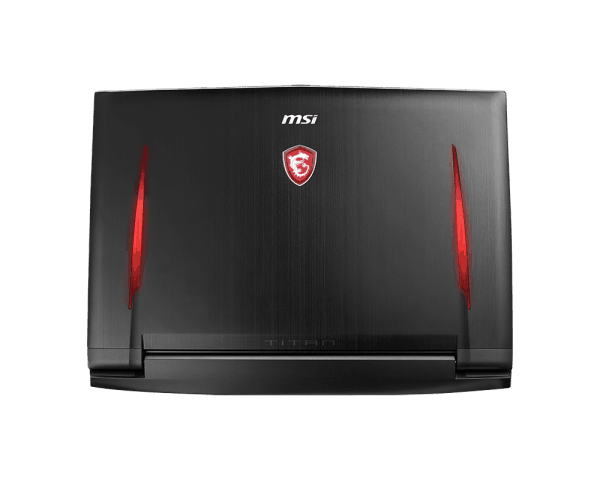 The MSI True Color Technology guarantees that each panel in a MSI notebook comes with the finest precision in color. 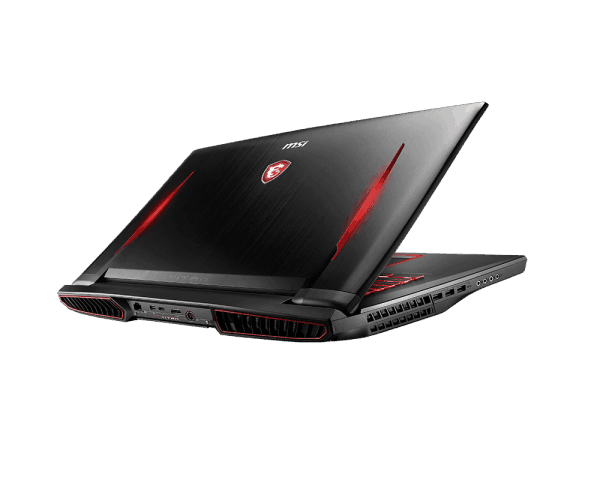 MSI GT73VR 7RF Titan Pro 4K is a stylish and powerful Gaming Laptop and is powered by Intel Core i7 (7th generation) processor and sports a 17.3 inch 4k LCD Display that comes with a resolution of 3840 x 2160 pixels,so the picture quality is crisp and detailed.The screen size is big enough for an enriching gaming, surfing and video watching experience.On the memory front, the laptop is equipped with a hard drive of 1 TB with 512 GB SSD and a 64 DDR4 RAM,thereby making it possible to store ample amount of data.All the above features ensure that you breeze through all your tasks throughout the day.The connectivity options available on the device are WiFi, Bluetooth 4.1,5 x USB 3.0 ports, 1 x HDMI, 1x Type-C (USB 3.1 Gen2 / DP / Thunderbolt 3), 1 x Mini Display port.It supports an optical Drive, comes with Built in HD Webcam, Multi media card reader, Backlit keyoard.